One of the ways to measure how well a program or department at a university is doing is to look at their graduate programs. To be able to offer the PhD in a specialized area, you need qualified faculty willing and able to take on teaching and mentoring responsibilities; a strong reputation for excellence in the area; research opportunities (and RA funding) for those doctoral students; and equipment and laboratory facilities, to name just a few factors. So when you see an institution win a major grant to launch a PhD program, you know that's a hot area for research and facilities expansion as well. That said, we're very pleased (but not at all surprised) to hear that UC Irvine is now hosting its first doctoral candidates in Biophotonics under the leadership of faculty biomedical engineer Dr. Vasan Venugopalan, and centered at the Beckman Laser Institute in the health sciences neighborhood on campus. Funding is from the NSF's Integrative Graduate Education & Research Traineeship (IGERT) program, in the amount of $3M for 5 years. 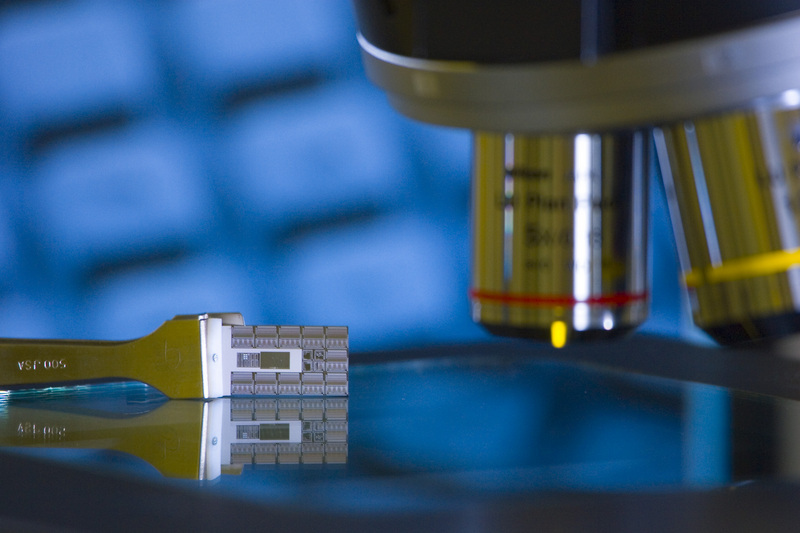 "UCI is a long-standing international leader in biophotonics. 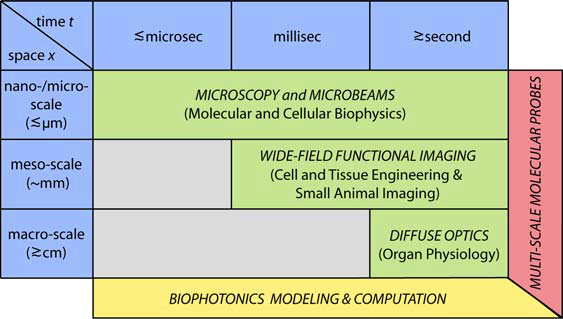 IGERT support will enable us to build a new model for graduate biophotonics education in the U.S. It will establish strong interdisciplinary interactions at the earliest stages of the graduate student experience and provide opportunities for closer integration and collaboration across research disciplines." In other words, the new PhD program is designed to strengthen and broaden an already very solid research area, in this case by increasing cooperation and cross-pollination between disciplines at a critical time in a researcher's development. 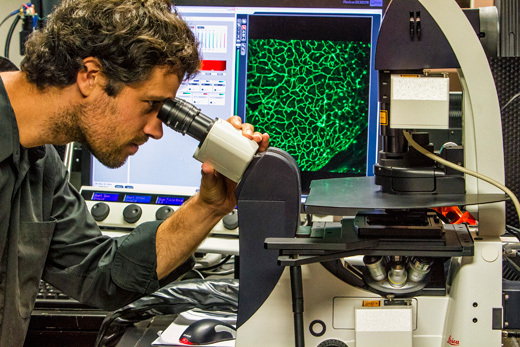 UCI describes its Biophotonics excellence as the result of years of building its research expertise and infrastructure in Biophotonics across its Schools of Biological Sciences, Engineering, Physical Sciences, and Medicine. The Beckman Laser Institute (BLI) at UC Irvine is the first of 5 Beckman Institutes nationwide (3 in California) devoted to research, training, clinical treatment and the translation of biomedical optics into usable technologies. At UCI the Beckman Institute is a division in the Department of Surgery in the School of Medicine and a unit in the Department of Biomedical Engineering in the School of Engineering. BLI's position at the nexus between these two schools (medicine and engineering) means they have trained scientists from nearly every science department on campus, and their interdisclinary approach is built-in. The first Beckman Institute was established at UC Irvine in the early 1980's, under the direction of Dr. Michael W. Berns and with funding from the Arnold and Mabel Beckman Foundation. Dr. Berns is still a distinguished researcher at UCI, Director of the Beckman Laser Institute and Medical Clinic, and professor of Biomedical Engineering and Developmental & Cell Biology in the School of Biological Sciences. "The core idea was to use lasers to study the basic biology of cells, and to apply the knowledge gained from those basic studies to understanding, diagnosing and treating disease. We designed and built a facility, the [37,000sf] Beckman Laser Institute (BLI), specifically with these ideas in mind comprised of basic cellular and biochemistry labs, engineering labs, a histopathology lab, and a human clinic. All of this under the same roof was designed to entice interactions between a diverse set of individuals: basic scientists, engineers and clinicians." For more information on exhibiting at UC Irvine, click the button below. Explore our website and see the complete 2013 Show Schedule, then give one of our sales associates a call.